The reason this is problematic for nonprofit marketing analytics comes down to this: it’s a free resource, with so many insights, but it just goes to waste. If you waste the knowledge within Google Analytics, you spend time producing content and making website decisions without reason. You make guesses about your audience without actually knowing what they want and how they use your site. We can do better. Here’s how. Think about who is coming to your site. Ask yourself, “Why are they coming here in the first place?” You want to know where they’re coming from and what helped them decide to click through to your site. Write out your top 3 to 4 audiences and include why each of them may be coming to your site. If they’ve never been on your site and are looking for volunteer opportunities, maybe they want to learn more about your organization. If they’ve donated before, maybe they want to log into an account or review an in-depth blog about your latest project. If they’re in need of your services, maybe all they need is to know you care and they want the easiest way to get in touch. Once you have these goals planned out, set them up within Analytics. Learn how here. Pay close attention to numbers like Conversion Rate, as they’re your most tangible evidence that your site is leading to action. If your nonprofit site has a search bar, which most do, wouldn’t it be mighty insightful if you knew what users were looking for? Enter a search term in your site’s search bar. Once you’ve found this, go into the Admin tab in Analytics, click “View Settings” in the right-side column, switch “site search tracking” to ON, and enter the query parameter into this box. When you want to review search term data, go into your Google Analytics under the Behavior section and click on Site Search. 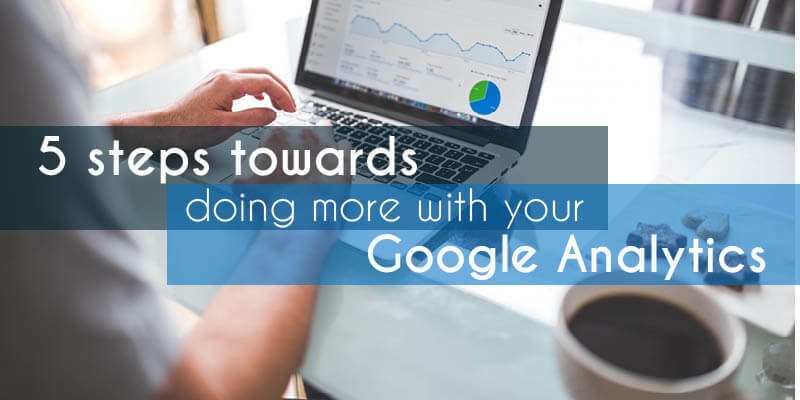 To see the most accurate data in your Google Analytics account, you’ll want to remove the traffic coming from your own office.